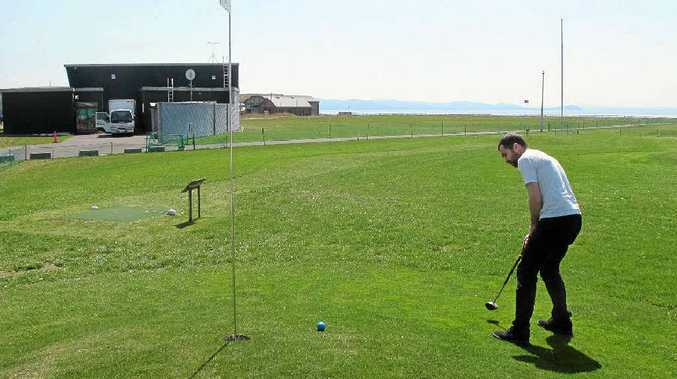 PARK golf is the illegitimate love child of golf and croquet. Chances are you've never heard of this game before. I know I hadn't. The game was one of Japan's late contributions to the 20th century and is especially popular on the nation's northern island of Hokkaido - where it was invented and where I decide to sample the sport. I'm not sure if I should refer to "hitty thing" as a club or a mallet. I'll call it a mub. Once you arrive at one of the nine-hole courses you'll need a mub and a 60mm-diameter regulation ball. My park has a few courses and is propped up on the edge of the sea and glancing around I notice I'm many decades younger than the other players. I arrive at the first hole of the least-popular course and survey my surroundings. Like golf, each hole seems to have a par-rating. I'm not really a mini-golf fan so I appreciate the lack of windmills and see-saws. There are no water traps and each hole is no more than 100m in length. Whacking the ball with the mub sends the ball as far as an educated guess dictates. There are no surprises. I don't know how each hole's par rating was established, but I thought they were incredibly generous. The ball rolls smoothly over the lush green grass and quite soon I find myself under-par on most holes. I think I'm a natural. It's definitely a low-impact sport and that would explain most of the grey hair under the sun visors. After the ninth hole I return my ball and mub and treat myself to a bottle of green tea from a vending machine. I could get used to this.